I can never forget the moments when I started reading the Bible. It turned my life around. And I will forever be grateful for it. Thanks be to God for the men who God sent to lead us in this times. it's a two edged sword!!!! Pure hypocrisy from the Catholic Church who claims to be sacred when they're the complete opposite; same goes for other false religious groups. I am excited to read more blog entries which never fail to enlighten its readers. Thanks be to God for another fruitful blog! 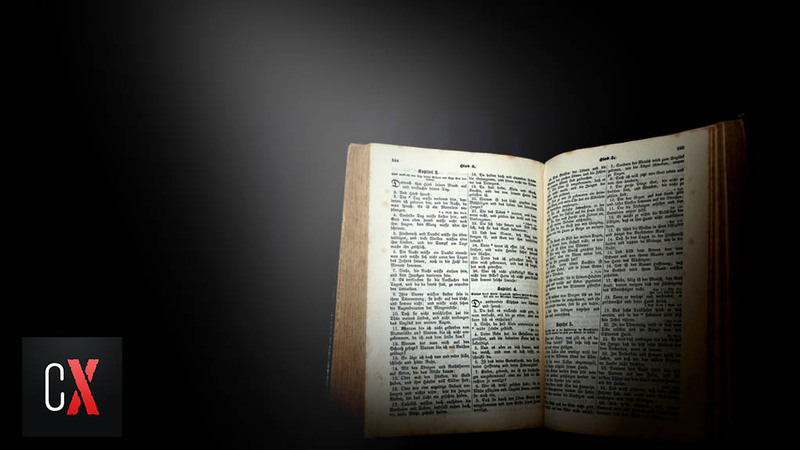 The Holy Bible does not lie because it is the record of the sacred words of God who cannot lie. However, people who read the bible are misled by the additional verses not found in the original manuscripts of the Holy Bible done by dishonest bible scholars and translators. Also, some words in the original bible manuscripts were not correctly translated, some words were added to favor ones religion, and such acts altered the true meaning of the verses in the bible. I pray that the next printing of the Holy Bible, in whatever language translations as the case may be, should contain only the original verses found in the old and original manuscripts, no more, no less. Thanks be to God! a must read Blog...full of wisdom and truthfulness. The Bible never lies. " Perhaps not all secrets will be revealed now but there is a time of judgment wherein hypocrisy will be stripped off totally to reveal its true face!" Amen to that Mr. Controversy. The Bible is indeed the Book of Truth. Thanks to God Mr. Controversy for the wisdom given to you. I hope my letter will now be accepted by this gadget since this is my first time to do this. I do not consider this as a comment but a thanksgiving to God because i am the first to become a member of the true chuch (MCGI) wherein my relatives are scattered to different beliefs ie born again, catholic, incm.My grandfathers cousin is a catholic priest (we call him before father rebibis). Salamat sa Dios nakawala sa galamay ni satanas. Undoubtedly the Holy Bible speaks the unfathomable wisdom of God and the one and only Book of truth on earth through the instrumentation of our most sensible Truthcaster. Thanks be to God. Thanks be to God for a very sensible blog. The old manuscript of the Holy Bible does not lie. However its translators who wrote in the bible that the name of God is jehovah and those who added verse 9 to 20 under Mark Chapter 16 also lied because Mark Chapter 16 in the earliest manuscripts is up to verse 8 only. Thanks be to God! Thanks be to God for this another knowledge. Truly an eye-opening for us. I like this article very much. Thanks be to God. People believe the Bible is true. This very true especially to Church of God where the truth behind its words are understood and revealed through God's true servant. But here's more suppose to be realized that everyone who have faith in the words of God must have experiences its power not just by believing them but actually see the power that it can do to us because his words created the universe. If we just imagine how powerful they are awaiting to be discovered by the faithful. It's not that I actually have seen them but I believe That his promises in the words written in the Bible stay powerful. The words of God are encrypted in the Bible which I believe they can be open only with the real faith of the man of God. The truthfulness of God's word inspired through the men of God and prophets were written for us today to be guidance and examples but I believe these words have power that scientists never yet consider but only to the faithful They believe already. I'm saying the words of God in Malachi that the Lord himself said to test me. There are more words of God to be discovered and tested its truthfulness but the key is our faith to his words. I just don't know if God will allow them or how genuine can that faith be attained by the faithful. Only a true messenger of God can help make us see that the Bible does not lie! Thanks be to God for Bro. Eli Soriano. The glaring truth! Salamat po sa Dios! ...The bible will guide our lives to be meaningful, fruitful and peaceful...Thank`s Bro. Eli. This is the truth! Written in the Bible, hidden to those people who desire the things of this world, and revealed to those whom God called in service of Him.Thanks be to Him! and to Him be the glory and honor forever! To God be the glory for the is eye opening truth. Written in the Bible the absolute truth of them who follow the commandments of men and seeking thier own righteousness and walking according to the list of the flesh. They should not be followed, for they only bring worthless teaching worthless faith from themselves, not of the God almighty whom should be worshiped forever. The book of truth; the bible is given to man for him to see the truth and be saved. Thank.s` to Bro. Eli helping me how to read the bible properly to be saved thru my time reading controveryextraordinary.